Perhaps you’ve noticed the PSAs produced by Bring Change 2 Mind, the mental health advocacy organization founded by Glenn Close and her sister Jesse. The organization’s mission is about reducing the stigma around mental illness. The ads feature people in pairs. In one ad, each pairing wears plain white t-shirts with one’s mental illness diagnosis, “schizophrenia,” for example, printed plainly across their front while their partner’s label may say, “sister,” or “wife,” or “mother.” These many white-shirted pairings move through a crowded train station, the obvious message being that there are many among us who live with mental illness and they and their loved ones wish to break the mental illness stigma and spread the word that there is hope. 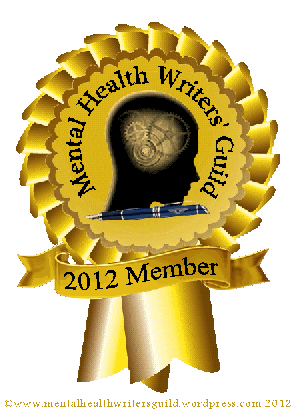 Another interpretation might be that there are many among us who live with mental illness who need support of another. There’s more to Glenn Close’s partnership with her sister for mental health advocacy than her celebrity. It’s that in order to have hope with mental illness, there really must be a partnership of some kind, whether it’s a sibling, spouse, or in many cases, a parent. A mentally ill person’s chances for recovery significantly improve when they have support. A person in a mental health crisis is often incapable of the self-awareness that he is unwell and only a trusted partner can convince an often unreasonable individual into treatment. And even that can be dicey. 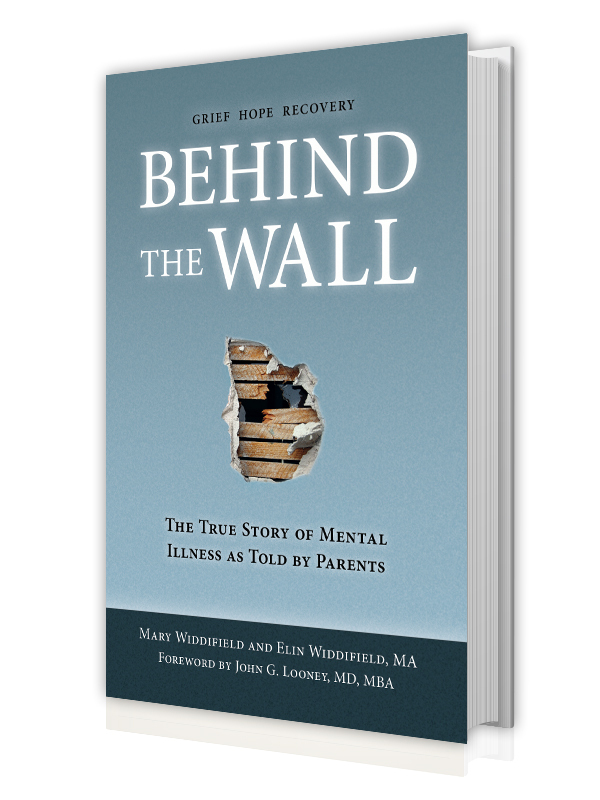 The truth is, a mental illness significantly impacts the loved ones of the diagnosed. Of course, most serious illnesses impact loved ones. But particularly in the early stages, brain disorders are wildly unpredictable. The illness can change day-by-day, hour-by-hour. Symptoms of one’s mental illness are frequently identified after a series of harrowing events, self-harm and frightening behavior. The brain is both delicate and powerful. Dan, whose daughter, Stella, was later diagnosed with schizophrenia, was engaged in intelligent conversation when she began talking about a chip in her head, seemingly out of nowhere. And that’s the rub. The parent of a mentally ill child makes for a lousy friend. Yet who needs support more than a person who is constantly on guard, monitoring another’s needs? When a crisis can, and often is, a life or death drama? They are preoccupied. They cancel, don’t return calls, and their everyday concerns are about who will care for and what will happen to their child tomorrow, next year, and after they are gone. When the abnormal amount of time passes without hearing from my friend, the mother of a bipolar son, I don’t take it personally. I worry. 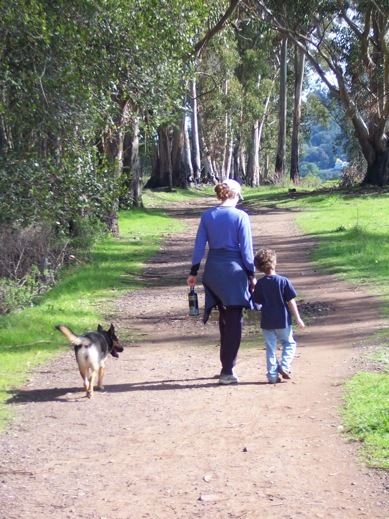 As a result, it is common for the parents of adult children with brain disorders to lead rather isolated lives. It’s difficult for those who don’t live with a mentally ill person to understand the daily challenges. And again, it’s difficult to make plans. Parents frequently tell us about the physical, mental and emotional exhaustion from expending the energy required to stay on top of things—whether it’s keeping their child on their medication or simply the constant monitoring of moods. Not to mention the stressful decision-making required during hospitalizations, or for addressing treatment choices, or even worse… the insurance. A single mother of a son diagnosed with schizophrenia told us that while she is often exhausted beyond belief, she does have the support of a male friend who visits her son when he is hospitalized and while she is working. Her son’s friends, a very special group of young men who remain loyal, make sure to spend more time with him when she needs to be out of town. Our social protocols don’t outline what to do when a friend’s loved one is diagnosed with mental illness only because society seems to see “mental illness” as something different than other serious illnesses. There aren’t flowers, cards, and casseroles. But perhaps there should be. And as with other illnesses, after the initial shock of the diagnosis, there could be follow-up calls, and the simple gesture of listening. Tony, Many thanks for your repost – and your ongoing support. Best wishes for the New Year. May you be healthy and find peace and joy!